Work has already begun to assess applications to the £400m Northern Powerhouse Investment Fund (NPIF) from companies across the Northern Powerhouse region. Enterprise Ventures, which has been appointed to manage NPIF Debt and Equity funds in the region has received dozens of enquiries in the three weeks since the launch. These new enquiries are in addition to the pipeline of companies it had already identified and so the team anticipates making the first investment from the funds over the coming weeks. It says the £108.5m it is investing will ‘make a significant impact’ on the regional economy over the next five years. These deals will attract over £220m in private sector investment which is anticipated to generate around 1,800 jobs. Enterprise Ventures will be working closely with Local Enterprise Partnerships (LEPs), Growth Hubs and advisers across the region and is seeking applications from growth-orientated SMEs from all sectors. Enterprise Ventures is managing a £57.5m NPIF Equity fund, which will provide finance of up to £2m for businesses in Yorkshire, the Humber and Tees Valley and a £51m NPIF Debt fund, which offers loans of £100,000 to £750,000 to SMEs in Yorkshire and the Humber. Enterprise Ventures is part of Mercia Technologies PLC. 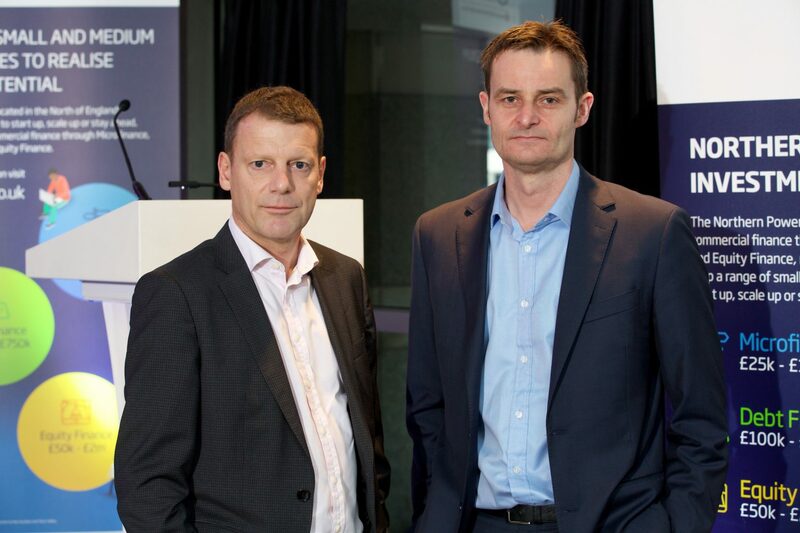 Its NPIF teams will be led by Fund Managers, Julian Viggars, Will Clark and Paul Taberner. A team of more than 20 investment professionals and support staff who are based around the region, with offices in Sheffield, Leeds, Teesside and Hull will ensure a strong foot print across the local geographies. Paul Taberner said the new funds were closely aligned with Mercia’s strategic aim to invest in the UK’s under-served regions, supporting the next generation of high-growth businesses. “We are delighted to have been selected to manage these two key NPIF funds, which will play a leading role in the development of innovative businesses,” he said. Grant Peggie, Director of Venture Capital Solutions at British Business Bank, said: “The number of companies to have already made enquiries about accessing these funds is testament to the enormous untapped potential across the North. Funding small businesses is more important than ever before and ensuring the right Fund Managers are in place to deliver this is crucial. For more information about Northern Powerhouse Investment Fund, please visit www.npif.co.uk or speak to your local Growth Hub.